Alanda June 11, 2017 Leave a Comment This post may contain affiliate links. My grandaughter Ishta and her husband Evan both turned 30 this year. Their birthdays are within a few days of each other. So I decided to make them a quilt for their birthdays. 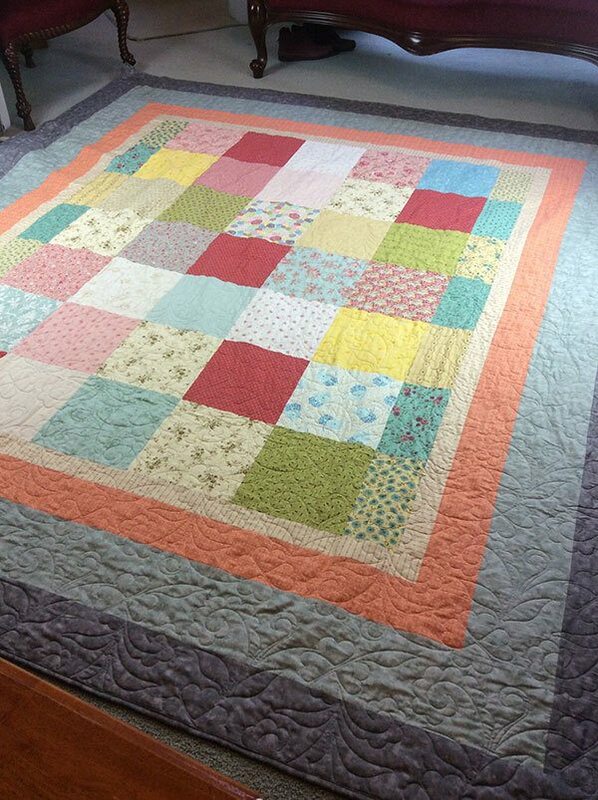 I wanted this quilt to be a little wider than the size I usually make so I added 4 borders. I didn’t have a full layer cake pack so I took squares from a couple of different packs and also cut some of my own stash into 10″ squares to add to the mix, and I was really happy with how it turned out. 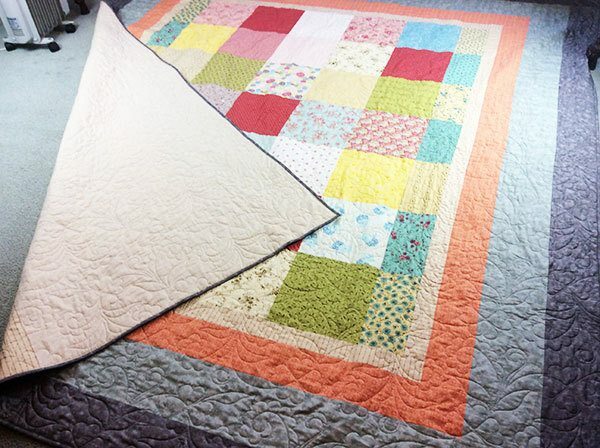 This ended up being quite a large quilt 90″ x 110″. Thank goodness Chris has a large quilting machine. 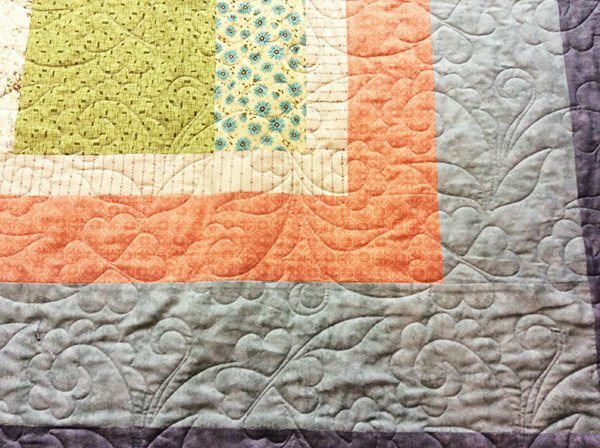 You can see the borders and the beautiful quilting detail in the photo below. I used the dark grey for the binding as well as the last border. I think the cream coloured backing suits this quilt. 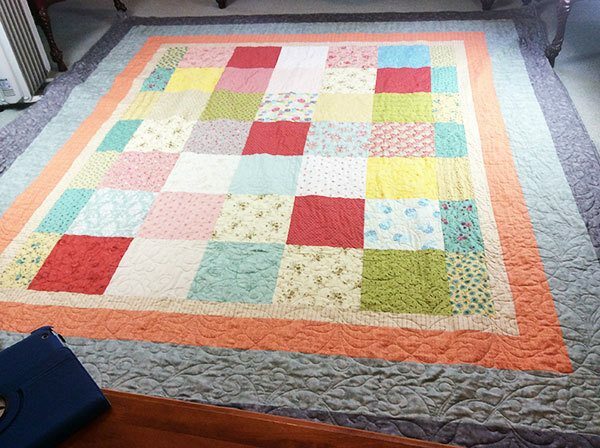 The quilt was quilted by Chris from ‘Sew ‘n’ Sew Sisters‘ here in Australia. 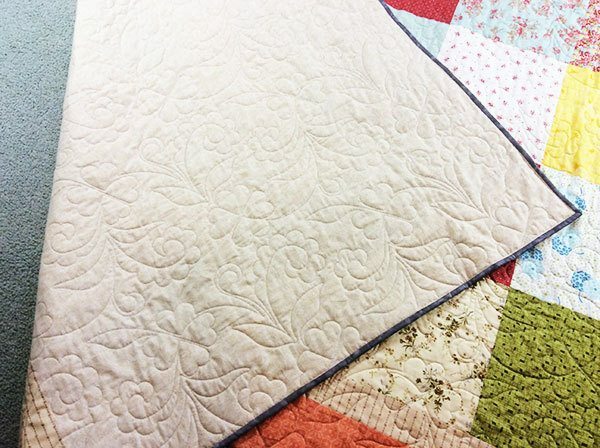 I highly recommend Chris, her quilting is beautiful and really showcases even a simple layer cake quilt like this one.